Wallenstein Wood Processors Provides a One Step Hands Free Operation! Wallenstein Wood Processors are not only built for maximum productivity, but also for highway transport. 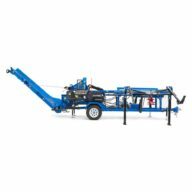 The WP800 trailer series is ideal for high volume firewood producers. 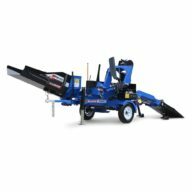 With a Fast Cycle Time, Wallenstein’s Wood Processors Auto Cycle Feature Gives You the Single Action Control of Splitting, Powering the Log Through the 4-Way Wedge, and Returning to the Home Position and Ready for the Next Log. 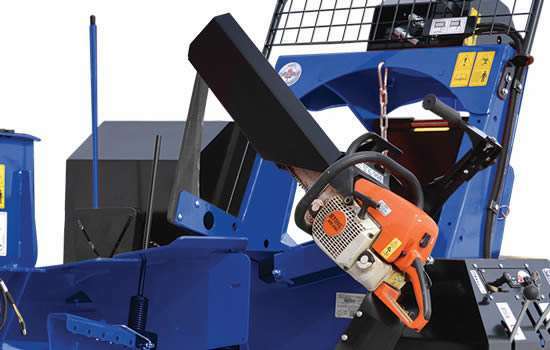 Wallenstein’s WP Wood Processor reduces unnecessary back strain by eliminating strenuous bending and lifting while providing a comfortable cutting height. A One Man Operation processing up to 1.5 cords per hour! Wallenstein WP800 Series Firewood Processors reduce the risk of physical strain, saves you time and saves you money! The Best Bang for the Buck! WP840 Wallenstein Firewood Processor, A One Man Operation!